A very popular waterfall in Sea to Sky Country located south of Whistler, BC, Canada. 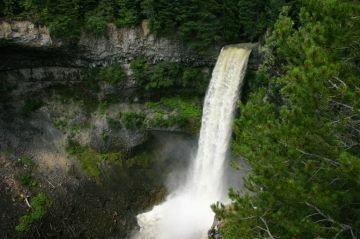 The waterfall is the main attraction in the 150 hectare Brandywine Falls Provincial Park. 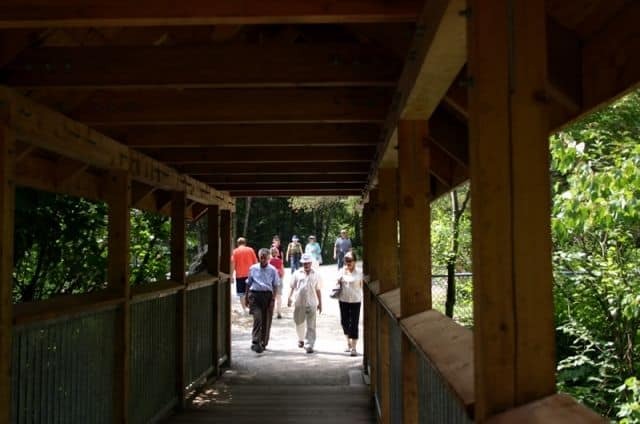 One of the key factors to the popularity of this park destination is the ease of access to view the falls. From the parking lot the interpretive informational signs point the way to the viewing platform over looking the falls and out over Daisy Lake. The large viewing wooden platform jets out from the cliff, is enclosed and safe. The easy-grade 1 Km trail is well maintained following a gravel path over a wooden bridge to a thundering waterfall crashing to the ground leaving rainbows in the mist. The Brandywine Falls drops 70 metres (227 feet) and was another result of the early volcanic eruptions that shook the land millions of years ago. The park's geology also includes basalt pillars and hectares of harden lava flow grown over with forest and ponds. Near the parking lot area, set back in some trees and in a grass field is a picnic area for before or after your hike to the falls. 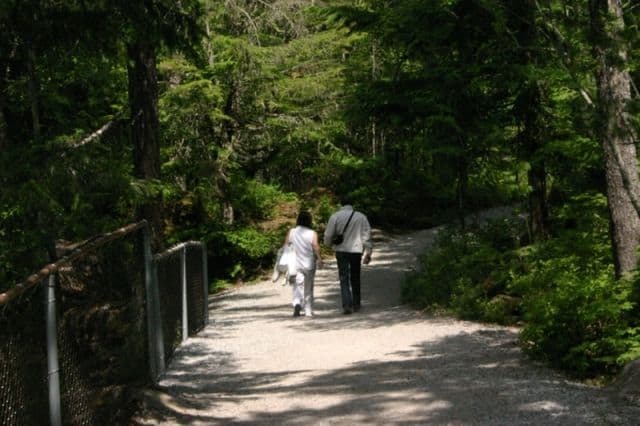 There is also another trail in the park named the Cal-Cheak Trail which passes through forests of douglas fir and lodgepole pine leading to a suspension bridge. It is a 3.5 km hike one-way ending at the Cal-Cheak Recreation Site. 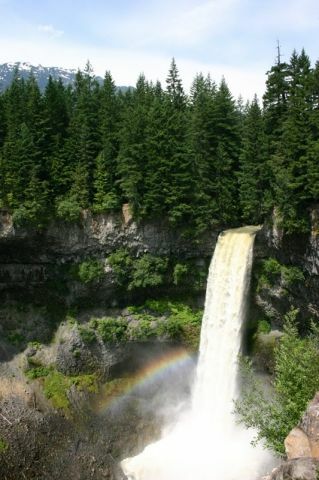 How to Get Here: South of Whistler Village on Hwy 99 (Sea to Sky Hwy) is the parking lot to Brandywine Falls. 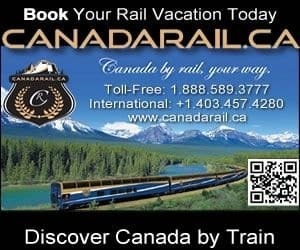 It is a 20 minute drive south from Whistler, BC, Canada. Watch for the road signs on the side of the highway pointing the way.